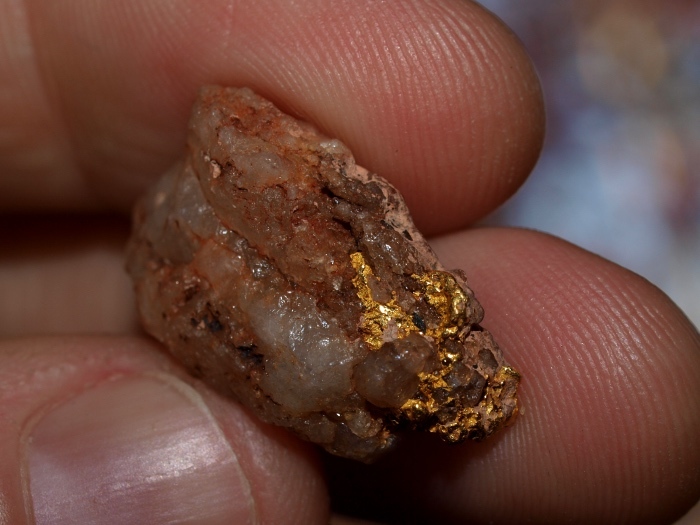 When gold is still encased in quartz rock, it is called a gold specimen. These are a real treat for gold prospectors and collectors as well, and are often valued at a premium due to their beauty and rarity. Hard rock mining, also known as lode mining, is obviously the best method for finding gold specimens since you are mining the true source of the gold by following veins of high grade ore into the mountain. Unfortunately, this type of mining is very expensive and not realistic for most small scale prospectors, but there are still methods that any prospector can be used to specifically target gold specimens. Here are several tips that will increase your chances of success. 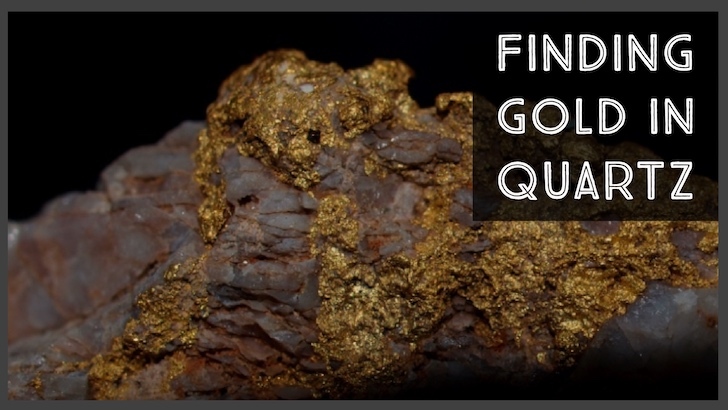 Any area that produces gold has the potential of producing gold in quartz specimens, but if want to specifically target for them, you want to identify areas that they have been discovered in the past. Often times there are mining districts that are known for producing large nuggets, other areas that might only produce fine gold, and other areas sometimes produce a high percentage of nuggets with quartz matrix in them. Ask around with local miners familiar with the area. 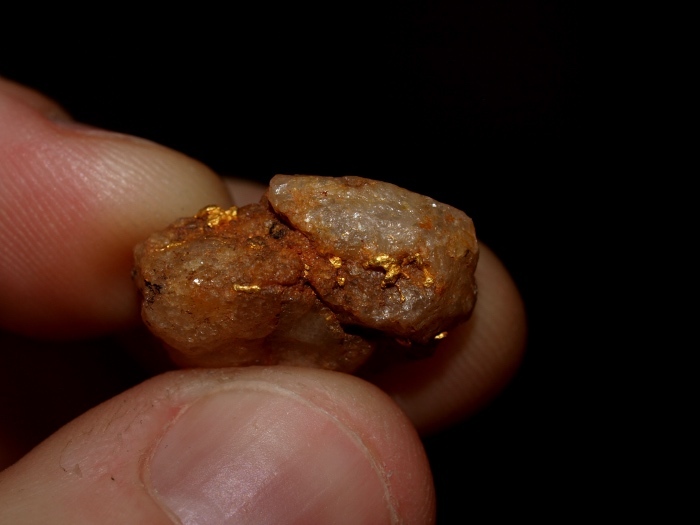 Do some research on the area that you are wanting to go gold prospecting. Often old books and geology manuals will make reference to a large nuggets and specimens that were found in the area. This may help point you in the right direction. Since we know that lode mines have the best odds of producing a specimen, this may be the best place to focus your efforts. While streams and rivers are great places to look for placer gold, the erosion that occurs typically causes gold found there to be smooth and polished, rather than rough and jagged with quartz attached. Focus your efforts closer to the source, near where the gold was formed. 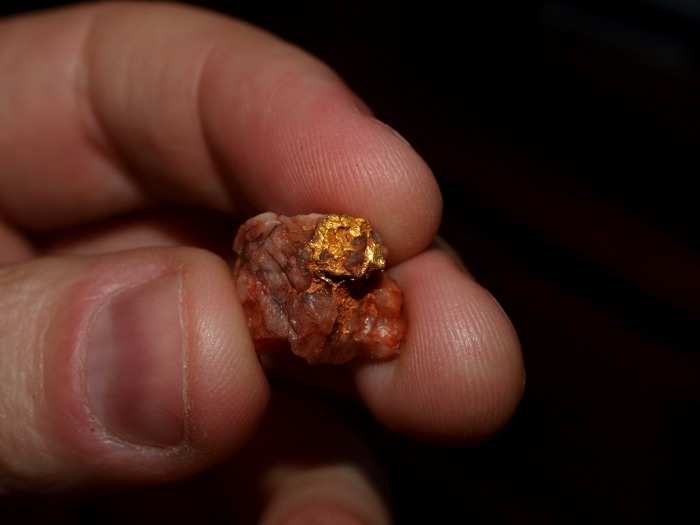 The less distance that the gold has traveled from its original location, the better chance that it will be a specimen piece. Once you have located and area that you think might produce a specimen, you need to decide how you are actually going to find it. Any type of prospecting equipment will find gold, but in this instance a metal detector is going to be your best tool to use. Check the tailing piles and waste rock near the entrance of mine openings. Remember that gold miners didn’t have metal detectors hundreds of years ago, so it was easy to overlook gold that was peeking out of a piece of quartz. Another interesting thing to consider is that back then it took a lot of gold to be worth the effort to process. Miners may have discarded material that only had a small amount of gold because it wasn’t profitable to process it and extract the gold from the quartz. I don’t know about you, but I am more than happy to find any amount of gold, even a small specimen. 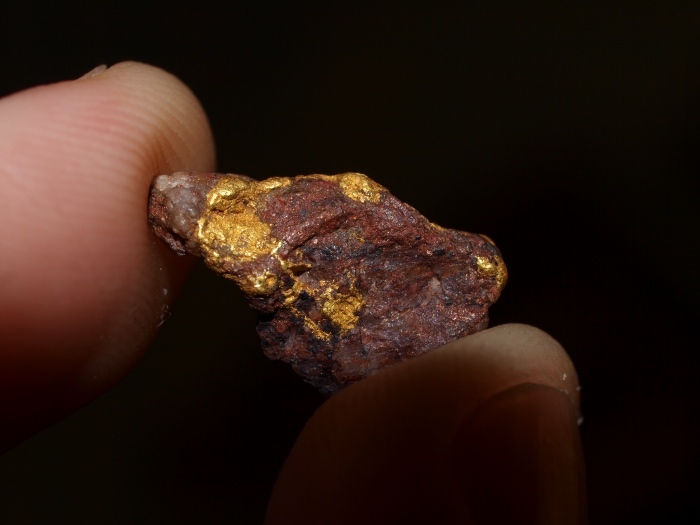 It can be quite amazing to see how much gold can hide in a specimen; often times there are several ounces of gold in a chunk of ore, with only a tiny piece visible to the eye. It was easy for the old timers back in the early gold rush days to overlook, but a modern metal detector will allow us to “see” what other miners couldn’t see. Nice gold in quartz specimens are highly valued by mineral collectors. Since each specimen is unique, there are never two that are the same, and they can be spectacular pieces to add to your collection. By doing some research and using the proper methods, it is still possible for prospectors to find these rare beauties.